Originally from Chicago, IL, Matt moved to San Diego to leave the winters behind while he broadened his studies of Medicine and Traditional Chinese Medicine. Mr. Alavi graduated from Pacific College of Oriental Medicine, one of the largest Acupuncture Medical Colleges in the United States. While there, Matt trained under many of the finest health practitioners in his field, gaining a deeper understanding and knowledge of Traditional Chinese Medicine. In adjunct to his studies at Pacific College, Matt continued his education and clinical expertise at Chengdu Traditional Medical Hospital in Chengdu, China. Mr. Alavi has obtained specialized training in orthopedics, sports medicine, neurology, endocrinology, immune disorders, gastrointestinal dysfunction and pain diseases. He has successfully treated numerous sports related injuries of collegiate athletes and coaches, at the RIMAC center at the University of California San Diego. Here, Matt utilized his background in sports medicine and nutrition to provide sports enhancement therapy. As a lecturer and educator on many areas of health and wellness, Matt continues to spread the awareness and application of Integrative Medicine to the public as well as medical professionals. His mission is to be able to help as many people as possible, by providing the best standard of health care possible. 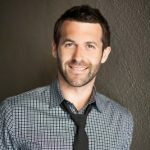 Matt’s practice and expertise have been featured on local news and various other news media throughout San Diego. Matt has developed and directed several Integrative Medical and Acupuncture centers in Poway, Carlsbad, Escondido and Encinitas California. Prior to opening ActiveMed Integrative Health Center, Matt was the founder and operator of the well-known North County Integrative Acupuncture Center. Matt believes the most important aspect in health care is disease prevention. However, when disease arises, in order for healing and wellness to occur or resume, the root (causative factors) of the disease must be treated. He has a true passion for health and his compassion for his patients is unsurpassed. Some services that Matt provides are acupuncture, herbal medicine, diet therapy, athletic enhancement, lifestyle consulting, structural therapy, hormone consultations, and neurotransmitter consults. Matt continues to expand his knowledge and research in integrative medicine by attending fellowship trainings, seminars and continued education. All Matt’s effort and learning is directed and focused on helping patients heal and become well. Matt sees patients in Poway on Tuesdays and Thursdays and in Encinitas on Monday, Wednesday and Friday. For more information please contact us at 858-673-4400.